Even though the book was around when I was a child, I never read Wacky Wednesday by Dr. Seuss until my own kids were in school. I was definitely missing out! 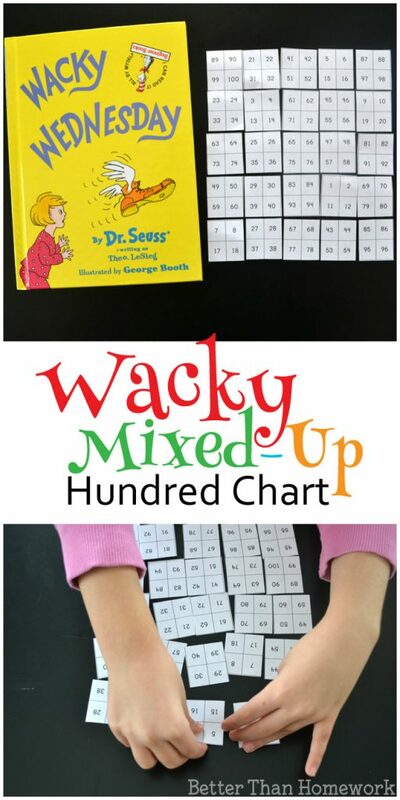 It’s a fun book that inspires so many wacky activities, like this Wacky Mixed-Up Hundred Chart game. This game is really easy to make. 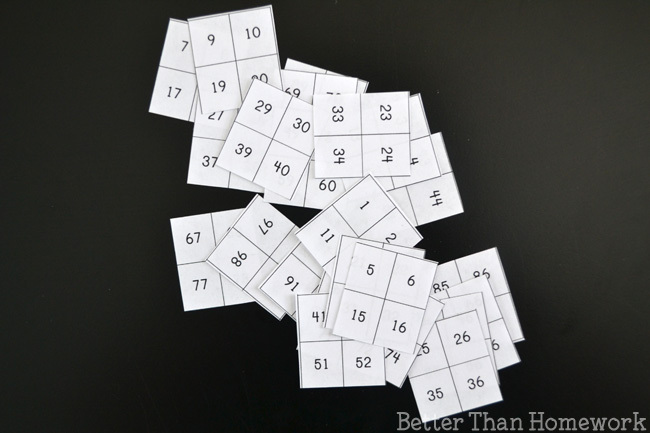 All you need is a printable hundred chart and a pair of scissors. 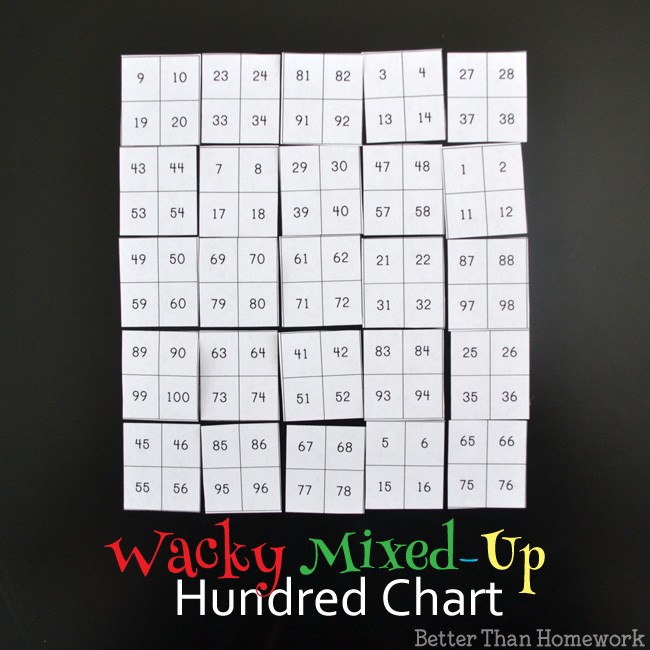 Print it out and cut all the excess paper from around the hundred chart so you have one big square. 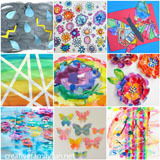 Now, it time to make your hundred chart game. 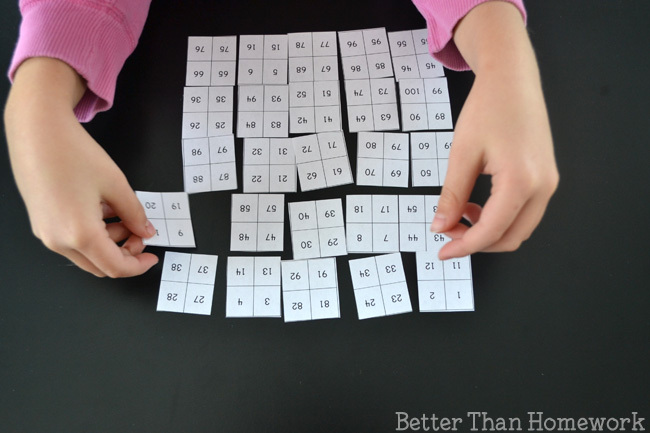 Cut your hundred chart into smaller pieces. You can cut rows, columns, or smaller squares. I cut mine into squares made up of four smaller squares. 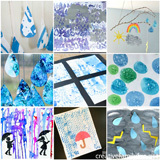 Mix it up and put it together in the hundred chart shape again. But, make sure you mix it all up. The fun part of this game is to see it all mixed up and then put it back together again. Put it together, then mix it up again. Do it again and again and again. It’s a fun puzzle. 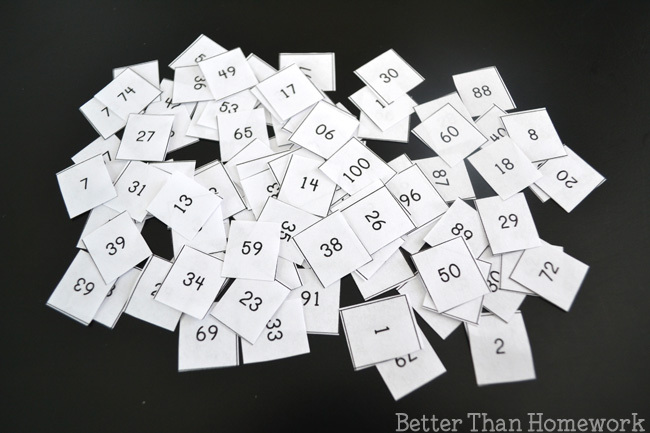 You can mix up the numbers and put them in the hundred chart shape, or you can just leave them in a pile. Put all your pieces in a small bag and you’ve got an instant busy bag for elementary kids. 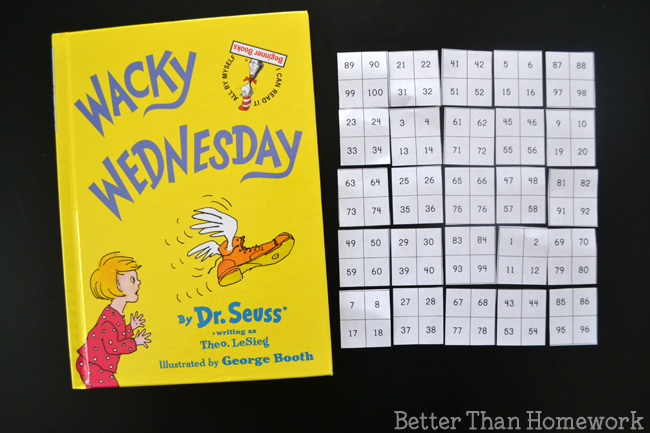 Grab a copy of Wacky Wednesday, read it together, and play your own version of this Wacky Mixed-Up Hundred Chart game. 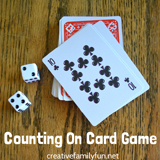 Psssst… if you want to make the game more challenging, cut out each number individually. Challenge your kids to put it back together again. 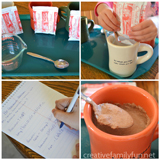 If you enjoyed this post, the above photo is perfect for sharing on Facebook or you can share the photo below on Pinterest.